Finite Element Analysis (FEA) is a computer-based technique that calculates how components are likely to perform in real-life applications. This advanced technique can determine how components may be impacted by exposure to extremes in temperature and pressures, particular stresses and aggressive chemical environments. Skilled use of FEA simulation can remove the need for extensive manual testing by accurate modelling through predictive behaviours. Mechanical stress and vibration are among the factors typically considered in this type of analysis. FEA simulation enables design engineers to highlight potential faults or areas of weaknesses in a component, impact the overall application’s efficiency or its ability to function in a given application. The long term reliability of sealing components is vital for any critical application. Precision Polymer Engineering works across a diverse range of industries, offering sealing solutions for critical applications from Food and Pharmaceuticals through to Chemical Processing and Marine Engines. Whilst there are severe ramifications for sealing component failures across applications in these industries, few challenges are more intense than those faced by seals in Oil & Gas applications. Oil & Gas applications need to withstand the most intense of operating environments, with extreme temperatures, pressures and chemical aggression. FEA simulation enables component developers to foresee what may have been considered unpredictable variables, and to engineer resistances to counteract these issues before they materialise. 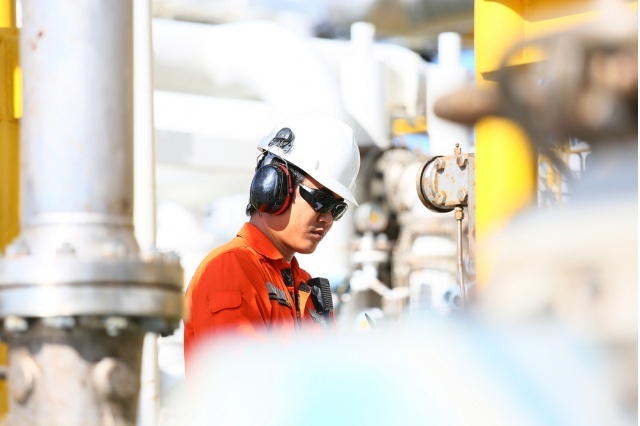 Owing to costs involved with missed productivity, downtime is not an option for Oil & Gas applications. Design engineers working in these fields must opt for component manufacturers adhering to the highest standards of quality and long term reliability in order to deliver undisturbed operational efficiency. FEA simulation is of central importance to ensuring these standards are met and maintained. Oil & Gas companies must also consider their environmental responsibilities in addition to their own losses, should component failure occur. Whilst plummeting productivity levels during downtime are costly to the company, should component failure cause an oil or gas leak, these costs are minor in relation to the resulting environmental fines. ● Removes the need for real-life testing and is therefore more efficient in terms of materials and resources. ● Provides an analysis accurate enough to isolate the exact area or location where performance is weak or requires modification, improving time efficiency. ● Requires less testing and fewer modifications. ● Improves versatility, as any modifications can be tested using FEA Simulation before the seal of approval and component manufacture. ● Safeguards against the potential risks of component failure, enabling us to identify and react to them in advance, improving cost efficiency. ● Helps us to gain a more thorough understanding of the general behaviour of the product, and the nature of the application as a whole. At PPE, the virtual environment of FEA Simulation allows our engineers to model accurately by characterising PPE-specific materials under set conditions. Through this, we can predict how sealing components will behave in real-life applications and detect where compromises in performance and/or reliability may become apparent. Alongside FEA Simulation, PPE hosts a comprehensive suite of sealing solutions and services to ensure that your setup delivers optimal performance. Find your sealing specialist today for a custom-engineered sealing solution tailored to the demands of your critical Oil & Gas application.